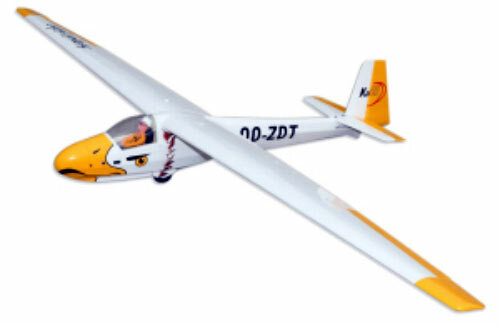 All Products > "5500084 Seagull Ka8B Glider 3Mt"
The charming looks of the KA8B go back to 1950 when the German company, Schleiher, manufactured the first prototype and in November 1957 the first flights where carried out. From then on, over 1100 where built to cover customer demands of this popular single-seat glider. Seagull have chosen one of the current popular colour scheme that makes the KA8B stand out and look timeless. 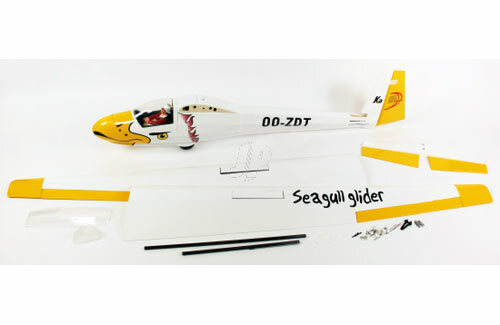 As soon as you open the box you can see the thoughtfulness and pride Seagull models put into this model. Each part is carefully packed in individual bags and neatly sealed to help make sure you will receive your kit in perfect condition. You will find the KA8B a joy and fast to assemble ready for flight. •Fixed undercarriage for great "run on landings"
Perfect for, ridge slope soaring or towed to height looking for thermal.